It’s not often that the lead characters in a blockbuster film have careers as particle physicists and nuclear engineers – and even less often that those roles are played by women. But the new “Ghostbusters” film, which features an all-female team of scientists and engineers, busts not just ghosts, but also some of the tropes about what it means to work in science, technology, engineering and math. It’s an idea that has scientists and engineers at NASA’s Jet Propulsion Laboratory excited about how it might inspire the next generation. So if they don’t spend their days bustin’ ghosts, what do JPL's "Ghostbusters" do? Here are the stories of three women in science and engineering at JPL whose jobs, much like their “Ghosbusters” counterparts’, are to explore new realms, battle invisible forces and explain the mysteries around us. In a team of professional ghost busters, Anita Sengupta would most certainly be the enthusiastic and multi-talented leader. She’s already taken on roles developing launch vehicles, the parachute that famously helped land the Mars rover Curiosity, and deep-space propulsion systems for missions to comets and asteroids. 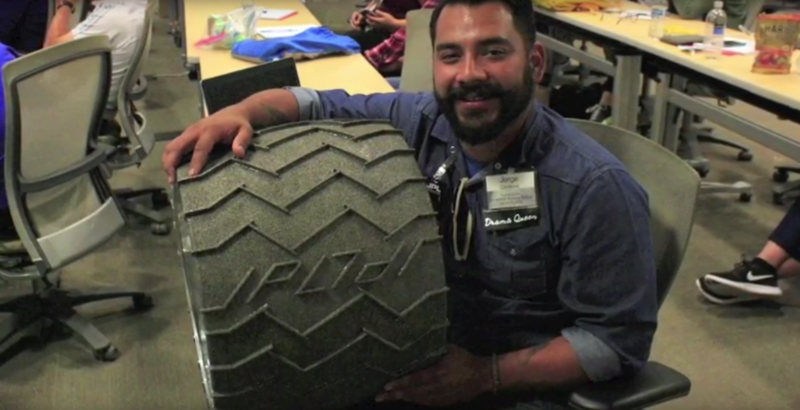 Sengupta and other members of the entry, descent and landing team for NASA's Mars rover Curiosity discuss the nail-biting details of the August 2012 landing. Most recently, she’s carved out a niche as the project manager for an atomic physics mission, called the Cold Atom Laboratory, or CAL. 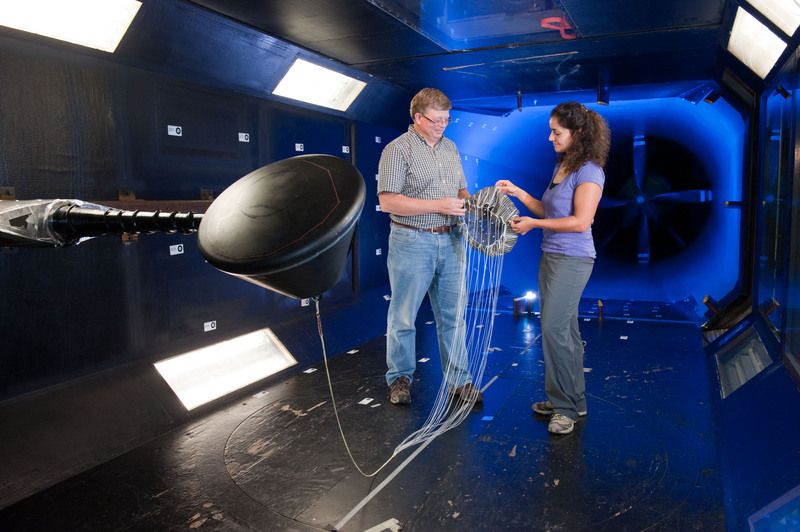 Since the mission was proposed in 2012, Sengupta has been leading a team of engineers and atomic physicists in developing an instrument that can see the unseen. Their mission is to create an ultra-cold quantum gas called a Bose-Einstein condensate, which is a state of matter that forms only at just above absolute zero. At such low temperatures, matter takes on unique properties that seemingly defy the laws of thermodynamics. To achieve the feat, the team’s device will be installed on the International Space Station in July 2017, where the microgravity of space will keep the Bose-Einstein condensate suspended long enough for scientists to get a look at how it behaves. Observing this behavior could lead to groundbreaking discoveries, not least of which is a better understanding of how complexity arises in the universe. The facility could also provide new insights into gravity, super fluidity and dark-matter detection. Sengupta’s career has been defined by her unique ability to take on challenges in new realms of science and engineering. It’s a trait that closely mimics the fictional character who inspired her as a child: Doctor Who. She doesn’t regret the decision. It seems she would have stretched the boundaries of whichever path she chose. Currently, she’s serving multiple leadership roles on the Cold Atom Laboratory team while also teaching astronautical engineering classes as an associate professor at the University of Southern California. And she still manages to carve out time for her other passions, which include driving sport motorcycles, snowboarding and flying planes. As a nuclear engineer, Luz Maria Martinez Sierra has never built a ghost-bustin’ proton gun, but she does design defenses against invisible forces. In her case, it’s protecting spacecraft from the intense radiation around planets like Jupiter. 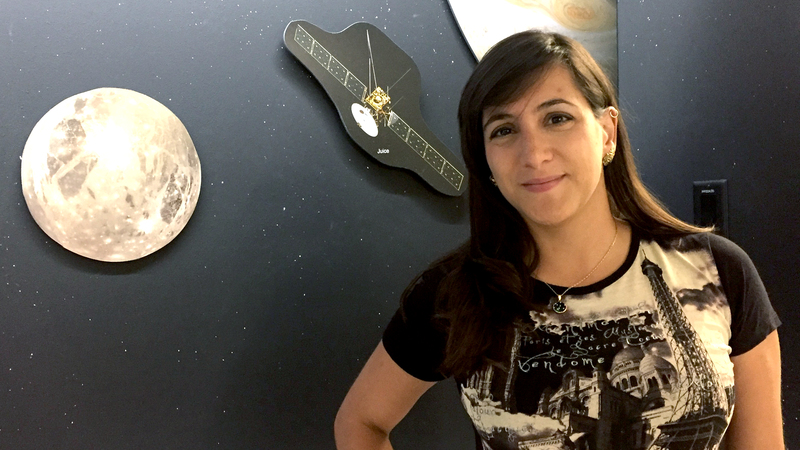 In addition to shielding spacecraft against radiation, she designs devices that can analyze it to reveal hidden details about planets, moons and other bodies. By looking at the radiation signatures of these bodies, scientists can better understand what they’re made of and whether they might be home to, for example, the ingredients for life. To the unacquainted, a career in nuclear engineering might seem oddly specific, but Martinez Sierra is quick to point out just how many applications it has, even just at NASA. Nuclear engineers might design systems to protect astronauts venturing to places like Mars, build instruments to study the sun and other stars, or work with spacecraft powered by radioactive materials. For her part, the career path evolved through a love of physics that traces back to high school in her native Colombia. She started attending local astronomy events and later earned a bachelor’s and master’s degree in engineering physics. In 2014, she was accepted into an internship with the laboratory’s Maximizing Student Potential in STEM program, which “taught me how to be part of a working environment, solving problems with a team and making sure that I belonged in this field,” she says. 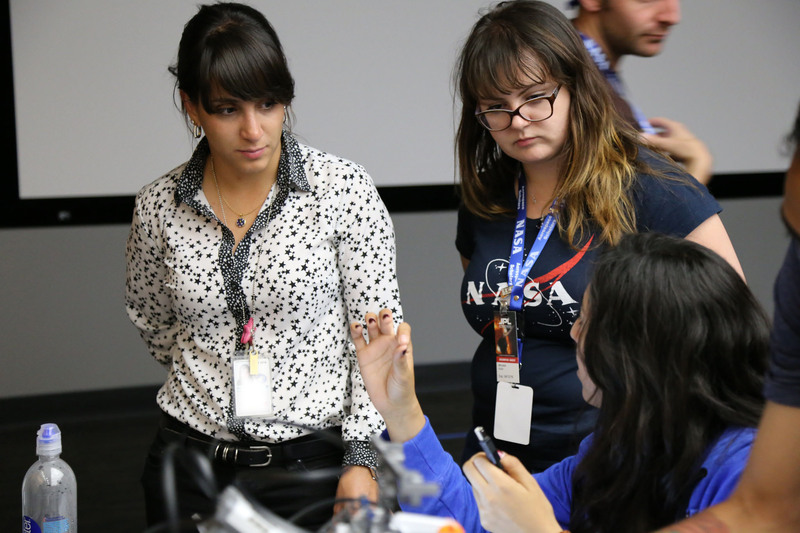 Soon after Martinez Sierra was hired on at JPL, she parlayed her internship experience into a mentorship role with the National Community College Aerospace Scholars program. That she is. On top of her full-time job and serving as an occasional mentor for students, Martinez Sierra is also earning her doctorate in nuclear engineering. 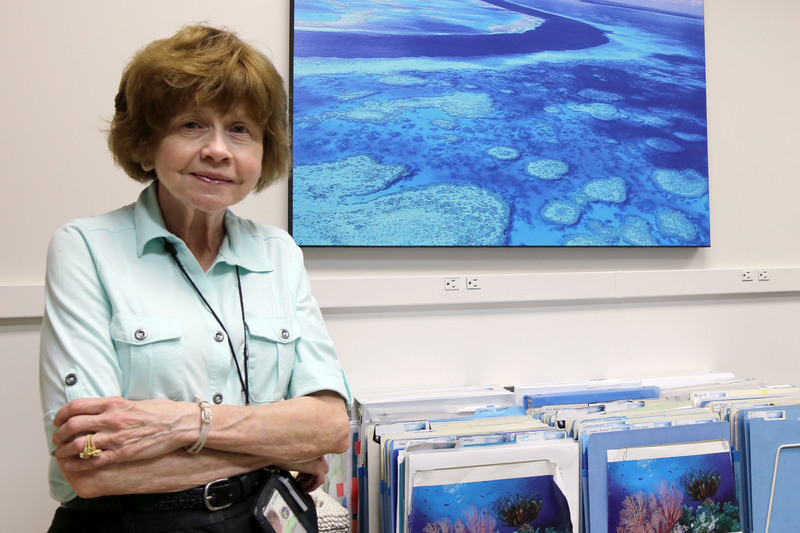 While the applications have evolved over her 36-year career at JPL, Jean Dickey’s specialty has always been explaining the mysteries that surround us. Her research focuses on the forces and processes that affect our home planet – everything from Earth’s gravity to changes in length-of-day to its evolving climate. She has published more than 70 papers, which include findings of a possible molten core on the moon and a method for predicting the variations in Earth’s rotation. Data streams in from Earth satellites, airborne missions, and on-the-ground observations, and Dickey’s job is to make sense of it all. It’s a crucial part of understanding what’s happening on our home planet – and beyond. Inspired early on by the success of the Sputnik satellite and the ensuing Space Race, and equipped with an affinity for math and science, Dickey was the only one of six siblings to study science. When she graduated from Rutgers University in 1976 with a doctorate in physics, she was well accustomed to being the only woman in her classes and on research teams, but she never let that fact stop her. 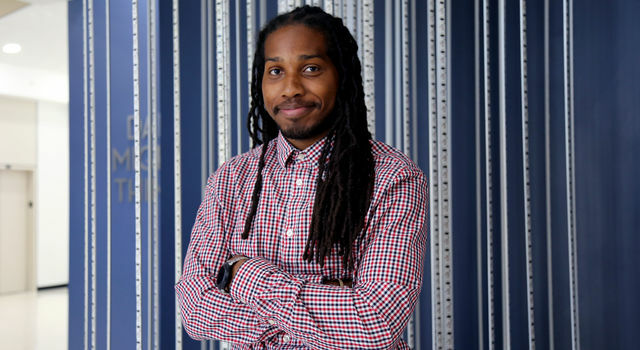 As a postdoc at Caltech, Dickey analyzed data from particle experiments that were performed at Fermilab, a particle accelerator just outside of Chicago. She studied the dynamics of particle collisions and interpreted the findings, which meant using specialized software to analyze enormous data sets. 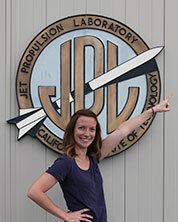 After three years at Caltech, she took on a new role at JPL analyzing a much different set of data, but one that was no less intriguing. 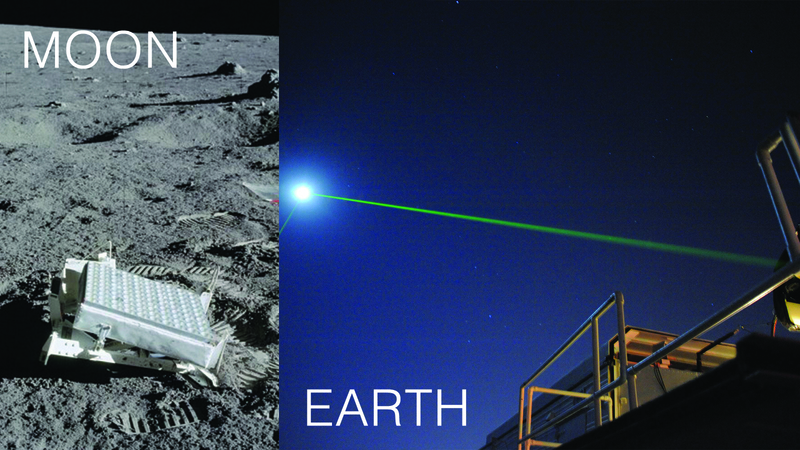 By studying the round-trip travel time of lasers shot between observatories on Earth and reflectors left on the moon by the Apollo astronauts, Dickey made new discoveries about how the moon oscillates and the Earth rotates, and how small variations can have big impacts on weather, sea level and even space exploration. It was a big change from particle physics, but Dickey was hooked. “I was fascinated by Earth rotation and the processes ongoing here on Earth.” Ever since, her research has revolved around the undulations, variations and wobbles that influence Earth’s climate, processes and its place in the solar system.